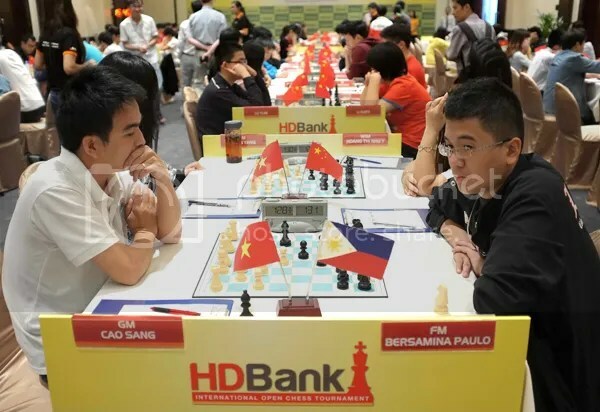 Note: This might NOT BE A RATED TOURNAMENT !!! 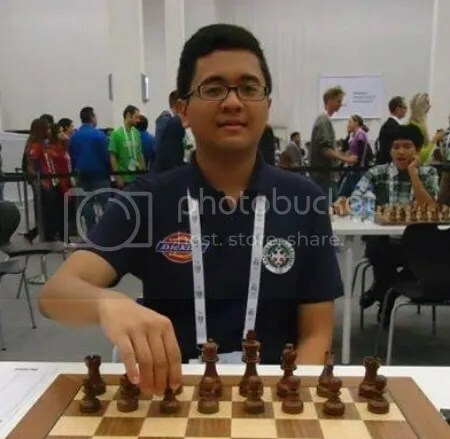 Paulo Bersamina born Feb-01-1998, currently a FIDE Master (FM) from the Philippines, is the Philippines youngest ever to win the 2010 National Junior Chess Championship (20-24 May 2010) in Davao City at age 12yrs-3mos-23days and gained his National Master (NM) title. 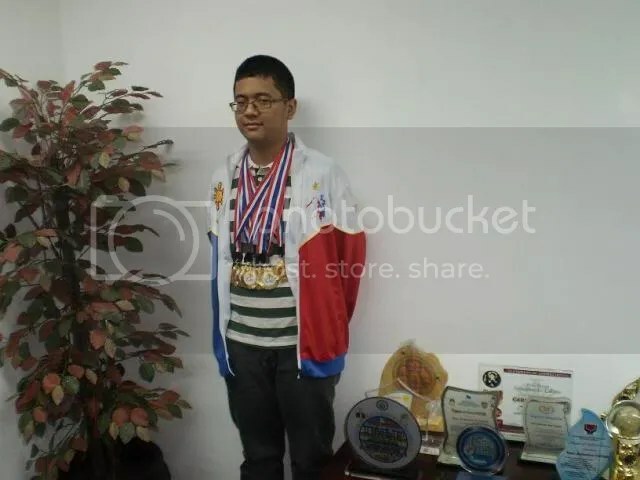 Seventeen days later, he annexed the FIDE Master title when he won the 11th ASEAN+ Age Group Chess Championship for U12 Open Division held in Subic, Freeport, Philippines on 5-10 June 2010, where he actually won a triple Gold (Standard, Rapid & Blitz) at age 12yrs-4mos-9days. 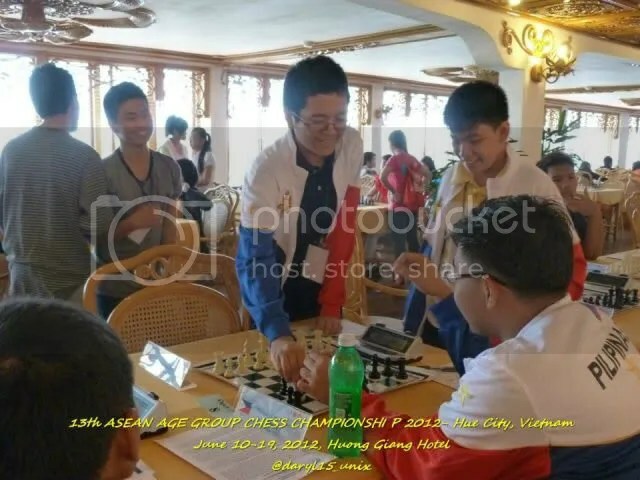 Then again in the last 13th ASEAN+ Age-Group Chess Championships held in Vietnam from 10th to 19th June 2012, Paulo Bersamina became the most be-medalled Philippine player with six(6), winning 2-Gold [(U14-Standard, U14-Rapid), 3-Silver (U14Team-Standard, U14Team-Rapid, U14Team-Blitz), 1-Bronze in U14-Blitz] for U14 Open Division. 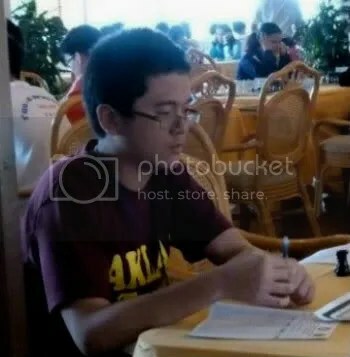 Here is a promising young player that needs support and exposures. 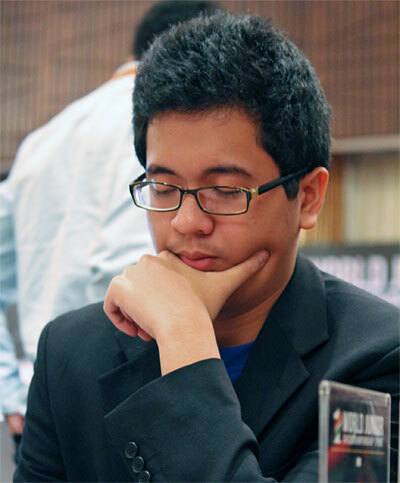 He’ll be one of the RP’s top chess honchos.